I wanted to let you know that my husband was completely overwhelmed when he opened this portrait for Christmas. I don't think I'll ever give a more personal and beautiful gift! Thank you so much!" 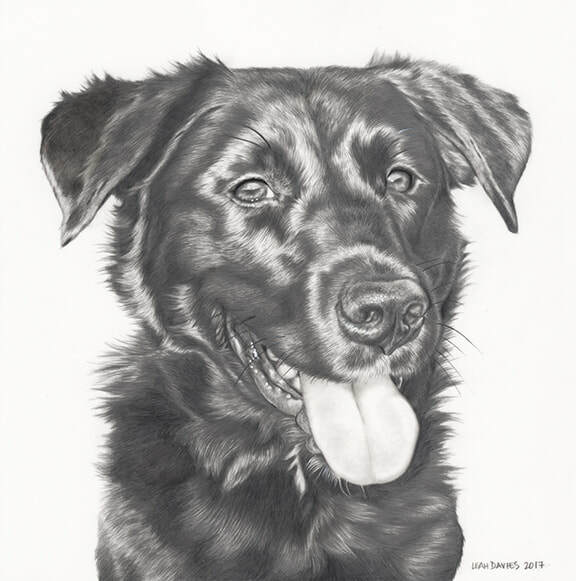 Kodiak | Graphite on paper | 8"x10"
I had both my babies painted for my husbands birthday a few years back. 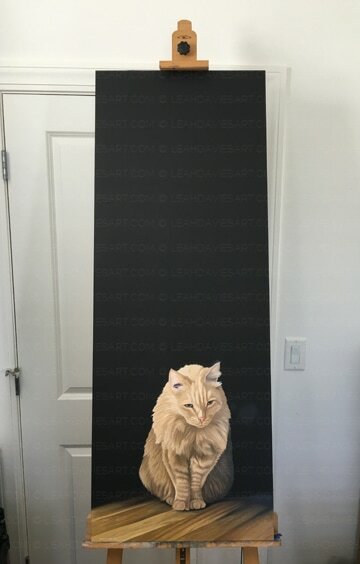 He was so excited when he received them. 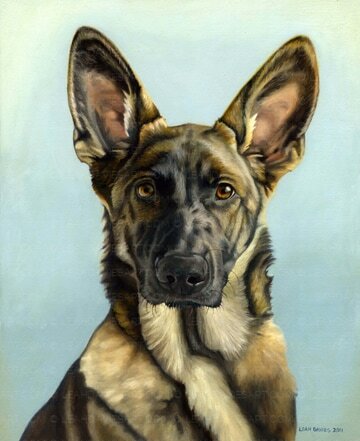 ​Her work is amazing and really catches the animals personality. Highly recommend, you won’t be disappointed. Mario & Luigi | Oil | 10"x10"
I can't even describe how beautiful this portrait is! 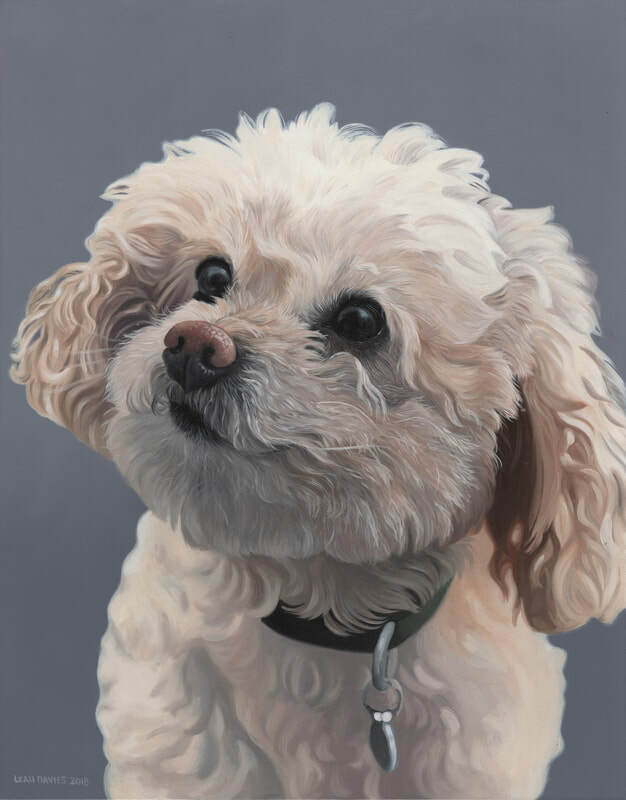 I searched for a long time to find an artist to paint my dog. I knew the composition I wanted, but each time I found an artist I liked they weren't quite right; and then I met Leah! I knew she was the one and she didn't disappoint! Wow! Millie | Oil | 8"x10"
I could not recommend Leah more. Not only is she extraordinarily talented, she's great to work with. She sent progress updates regularly and I couldn't wait to show them to people because even the incomplete portrait was spectacular! 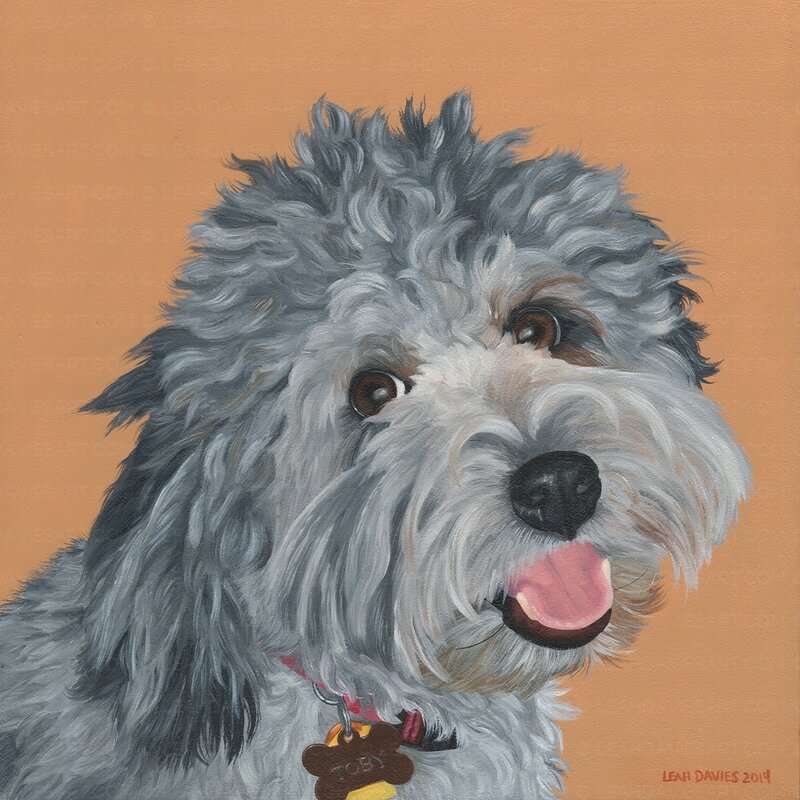 The portrait she created of my dog, Sloane, is something my husband and I will cherish forever. Thank you, Leah! Sloane | Graphite on drafting film | 8"x8"
I just received the portrait Leah painted of my toy poodle Olga and I couldn’t be happier. Leah is so talented and captured Olga's look and personality!" Olga | Oil | 11"x14"
Leah is an incredible artist that was an absolute gem to work with. 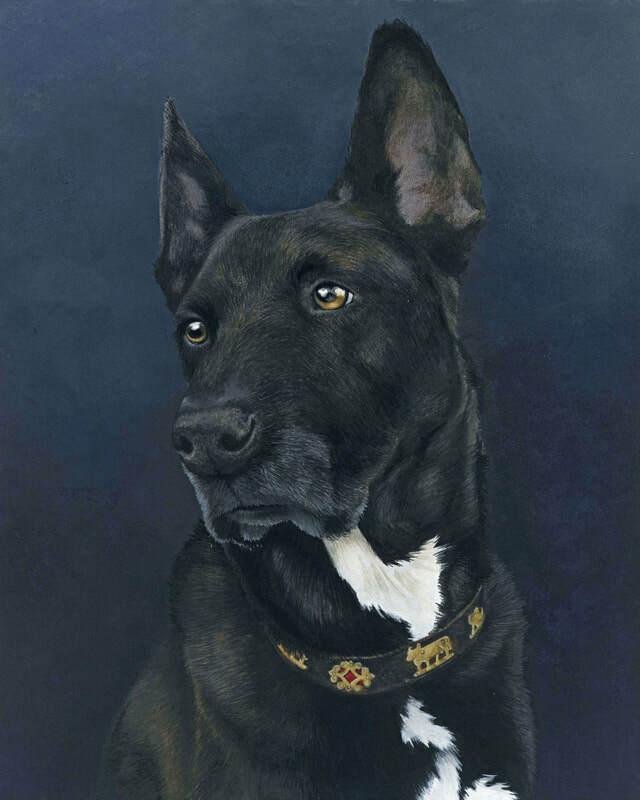 She captured every detail of Toby's face, his fur and most of all his precious personality. Toby is a darling little dog and the way Leah painted his face and the gleam in his eyes makes you want to give him a hug. 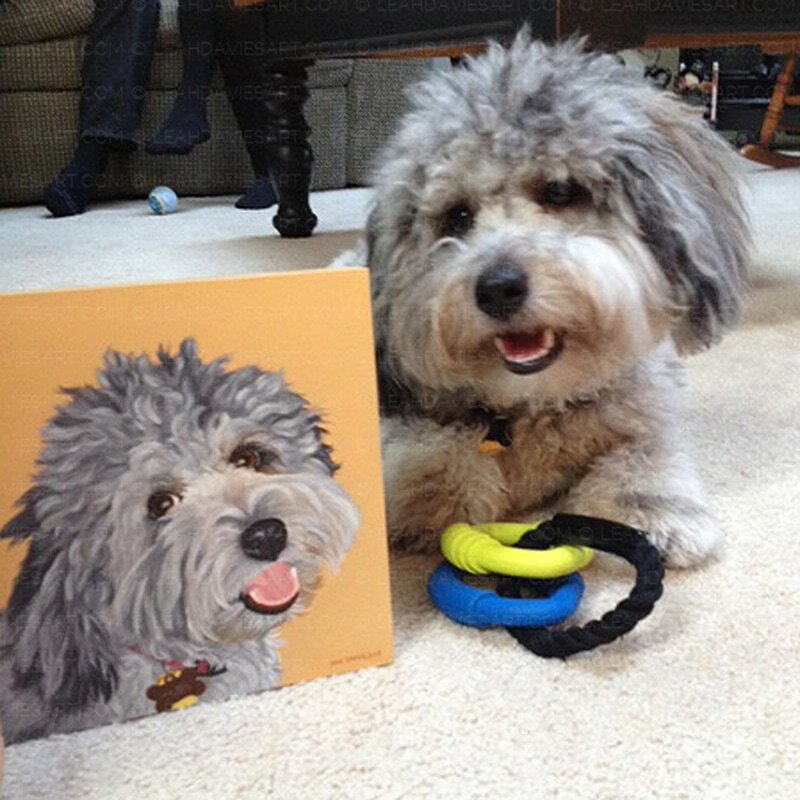 She totally captured everything that makes Toby our little guy! ​I would recommend Leah to anyone, with total confidence that she would do as great a job for them as she did for us. She delivered the work on time just as she promised which made for a wonderful Christmas present for my wife. I will definitely be using her again and cannot wait for the next experience of watching her bring a photo to life! She is a true Artist in every sense of the word. Way to go Leah and we cannot thank you enough for giving us a truly unique treasure for years to come." The boys look absolutely beautiful. This is honestly one of the greatest things we have ever purchased. 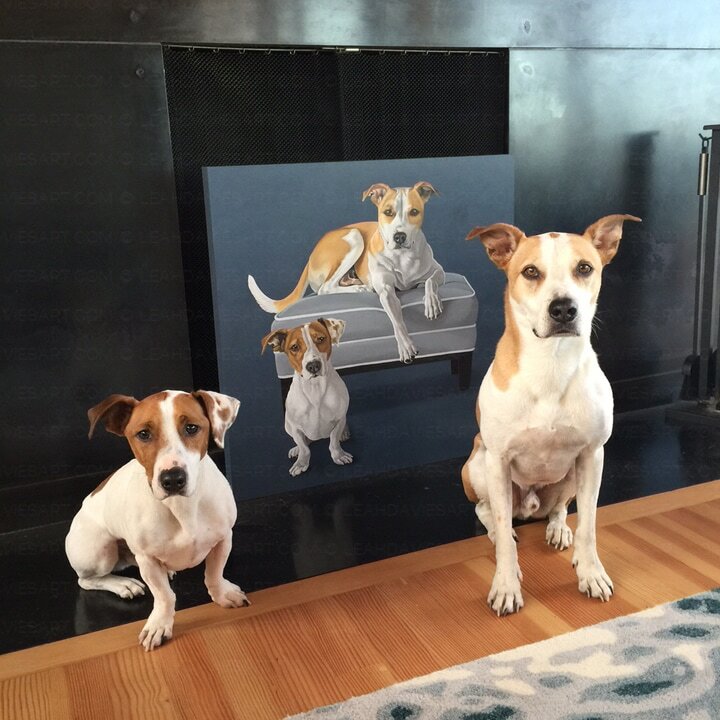 ​We hung them at the bottom of our staircase so that every time we enter the house, we see them. Both boys were captured so perfectly. We are extremely grateful for all the work you put in to immortalize our babies! ​It is something we will treasure forever." 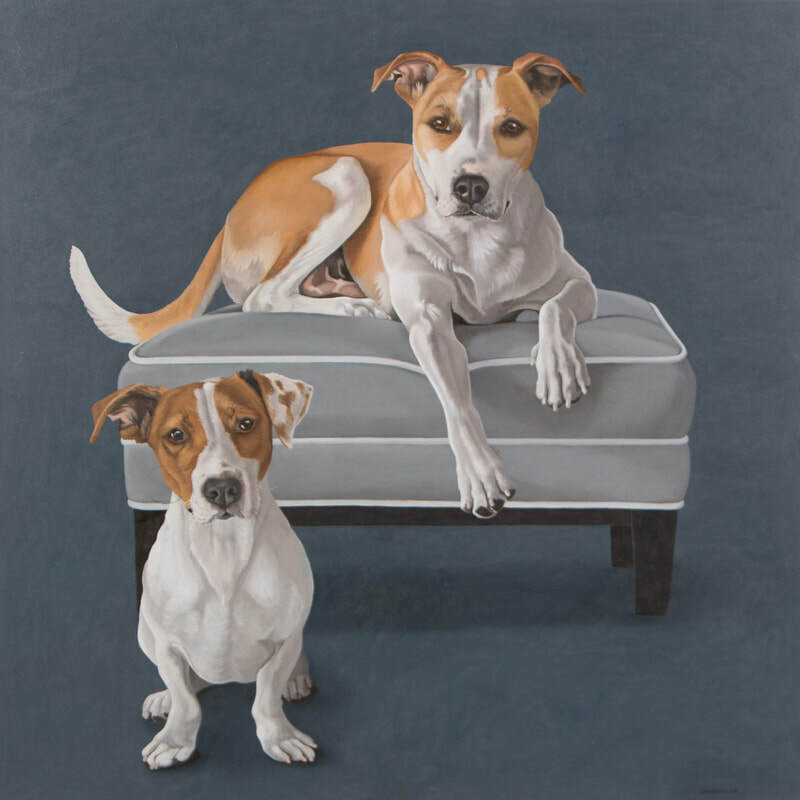 ​Henry & Midas | Oil | 30"x30"
Hi Leah: Sooo, I've had the portrait for approximately 48 hours, and I'm not sure I can fully express how AMAZING it is! ​I'll stand back and see how much it looks like Baron. And then, I'll go up close and see all the fine lines, the shadows, the simple white highlights that set off the unbelievable texture.⠀ And then, I'll stand back again, and see the nose, the inner ears, the eyes, and be equally astounded about how BEAUTIFUL this portrait is! ​Thank you so much! You are clearly very talented, and I adore the painting!" ​Baron | Oil | 18"x48"
When I saw your work, and experienced your feelings towards your own work, you were destined for greatness! 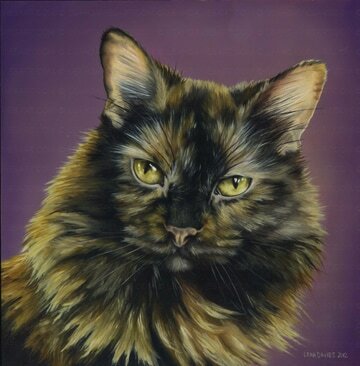 ​My mom’s cat that you painted finally passed away but because of your work she doesn’t have to struggle to remember him. When she looks at the portrait you painted of him, she smiles... That says it all Leah! We appreciate you and your talent, keep up the good work!!!" 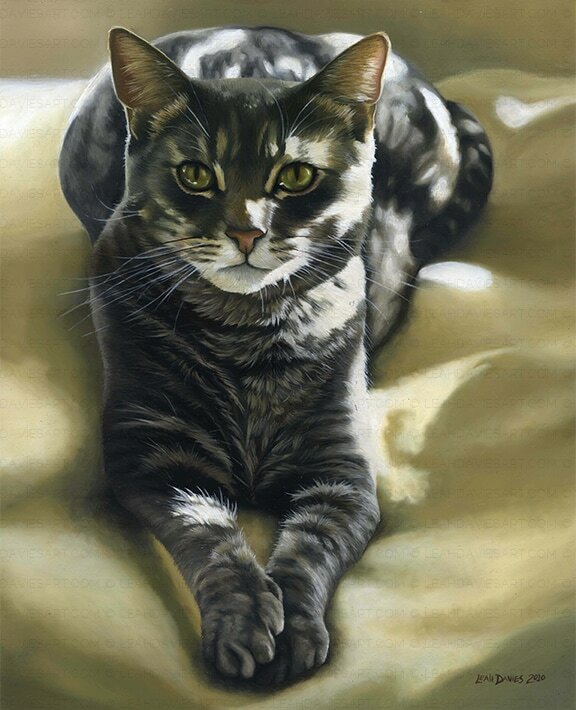 Kitty | Oil | 8"x8"
Leah is an absolute jewel to work with. ​She has good suggestions on helping you pick out the right photo. So much fun receiving the images of work in progress. 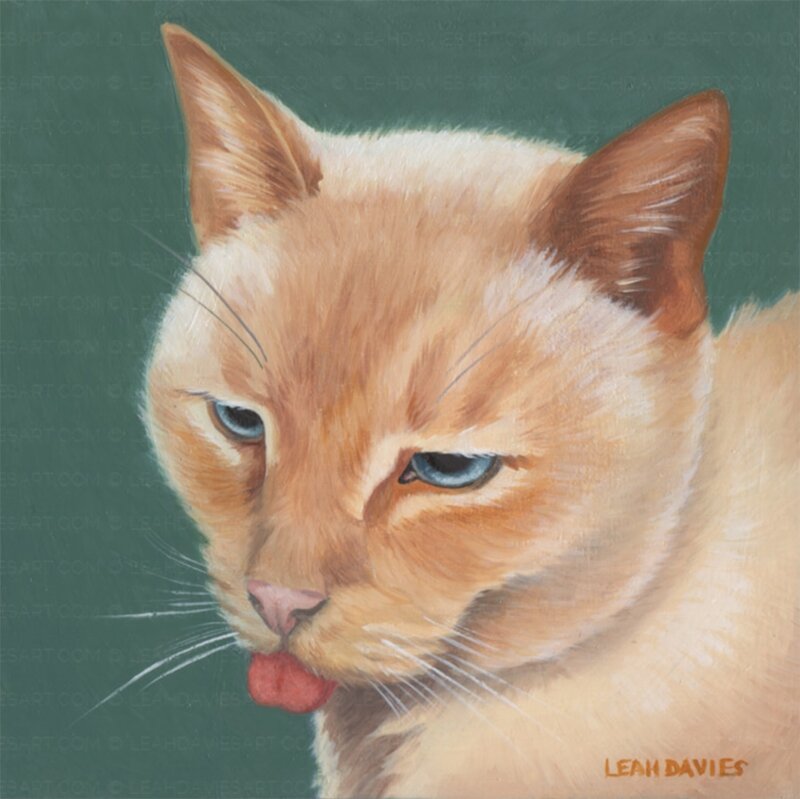 You can’t go wrong if you pick Leah to do a portrait of your beloved pet. Topher | Oil | 11"x14"
Absolutely perfect! 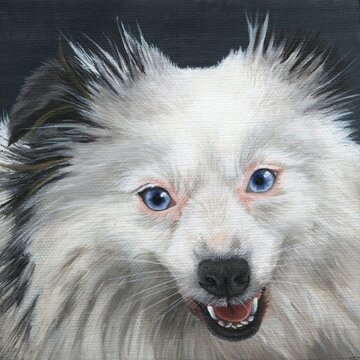 I purchased a portrait of my boyfriend's dog as a Christmas gift and he actually cried he loved it so much!! Beautifully painted and Leah is so sweet. I needed this done in a pretty tight time frame and she was very accommodating. Great communication and fast shipping. Dirk | Gouache | 8"x10"
These paintings are so incredible - there are no words to describe how Leah has captured their spirits and likeness!! She went above and beyond a typical portrait and has an amazing gift of talent. Her eye for detail and composition is incredible! Working with her was very easy, as she was very open to my recommendations and ideas. She was communicating with me on a regular basis and showed me visual updates as well. I would HIGHLY recommend Leah to anyone who is interested in a portrait of their loved one. She truly has a very unique gift and she is a kind a caring person who loves animals!! You will truly have a one of a kind portrait!" 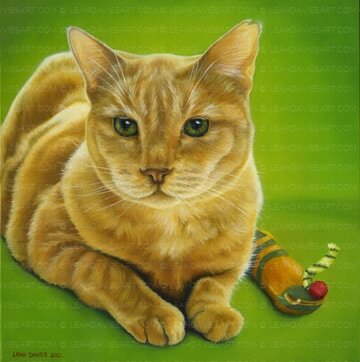 Lulu & Buttercup | Oil | 8"x8"
Oh my gosh, it was awesome working with Leah, and the final painting was INCREDIBLE!! Leah has some amazing talent! She was constantly in communication with me, and sent me near-weekly updates on her progress on the painting. She was very open to my ideas and suggestions, and the final product was absolutely perfect! I would highly recommend working with her, and I would definitely be back in the future!" 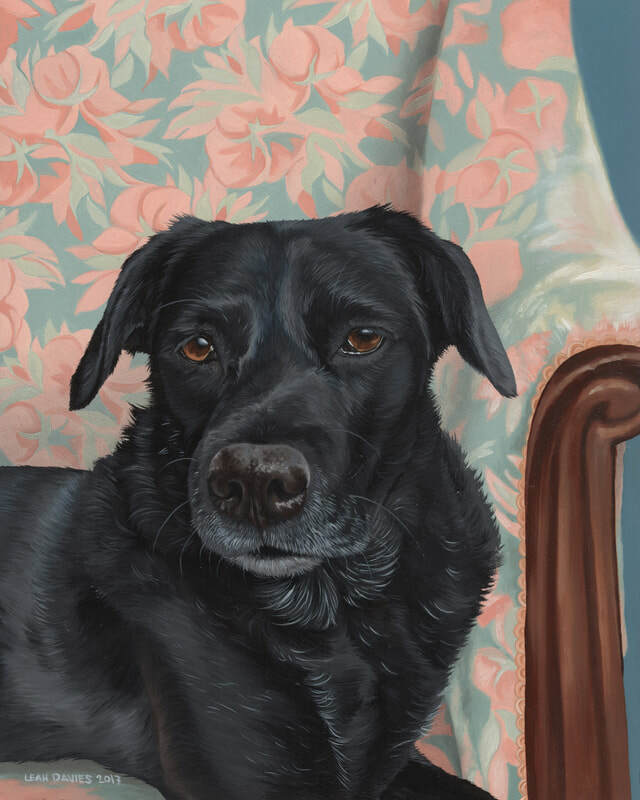 Lyla | Oil | 11"x14"
She worked with me every stage of the process to make sure I was happy with the progression of the painting, and also to ensure that the little things I love about my dog were captured in the painting. She even perfectly captured my dog's crooked teeth! She was wonderful to work, incredibly professional, and wanted to make sure I was 100% satisfied with the painting. The painting is unbelievable, and I can't wait to get another one commissioned!" Reba | Oil | 8"x8"